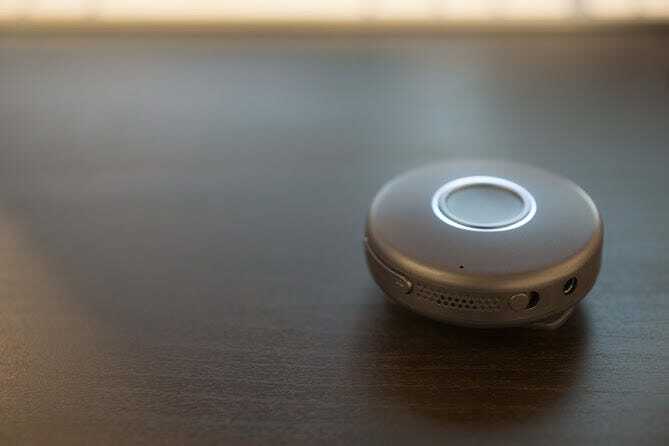 OnBeep, a year-old startup based in San Francisco, raised $US6.25 million earlier this year to build a dedicated piece of hardware that would allow groups of people to talk to one another with the press of a button, without needing to look at a watch or smartphone display. The company finally unveiled its first hardware product on Wednesday. It’s called Onyx. Jesse Robbins, cofounder and CEO of OnBeep, dropped by Business Insider’s offices in New York City last week to give us the first-ever demo of the Onyx, which he says was inspired by the real-time communicators used in “Star Trek,” as well as his own experiences as a volunteer firefighter. Greg Albrecht, OnBeep’s CTO, also has experience as an EMT and emergency manager. “Every great moment in humanity has depended on people working together in real-time, letting them focus on the problems they’re trying to achieve, and not having to futz with something that takes them out of that moment,” Robbins told us. That’s where the Onyx comes in. 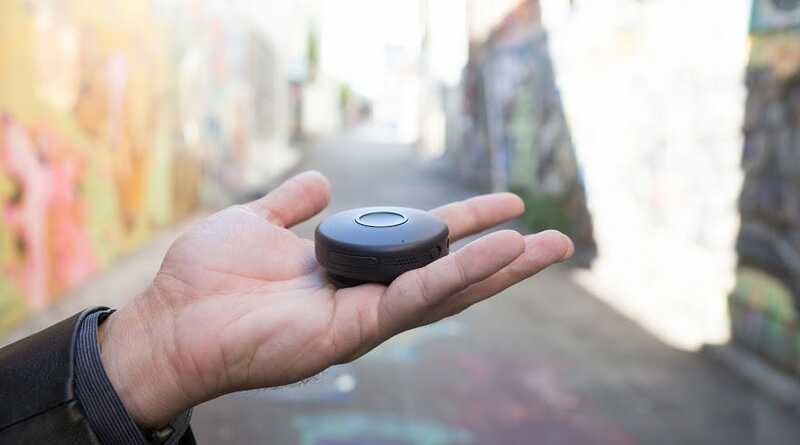 The device is a small, black, lightweight circular piece of durable plastic with an LED ring around the center button, which is the main interface of the device. You push the button, wait for the beep, and start talking. In a group, Onyx can support up to 15 people with their own Onyx devices — but you can create as many groups as you want. 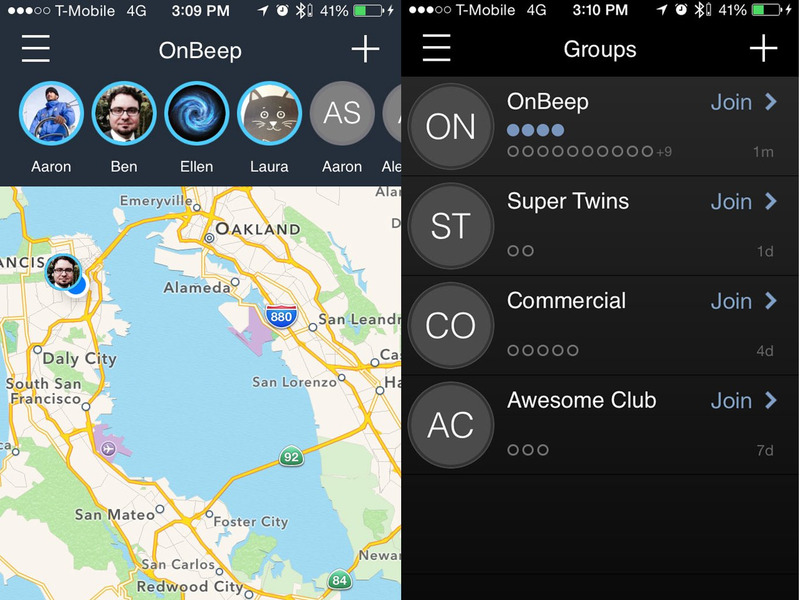 You manage your groups directly through OnBeep’s companion app, which is free for iOS and Android devices, and connects to your phone via Bluetooth. 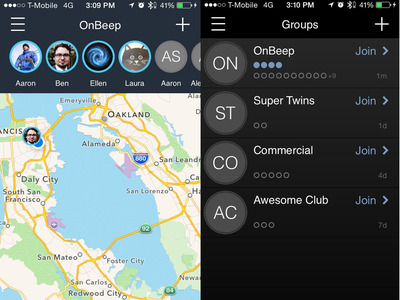 OnBeep ensured Onyx was not limited to Bluetooth 4.0, as to not exclude any older devices. 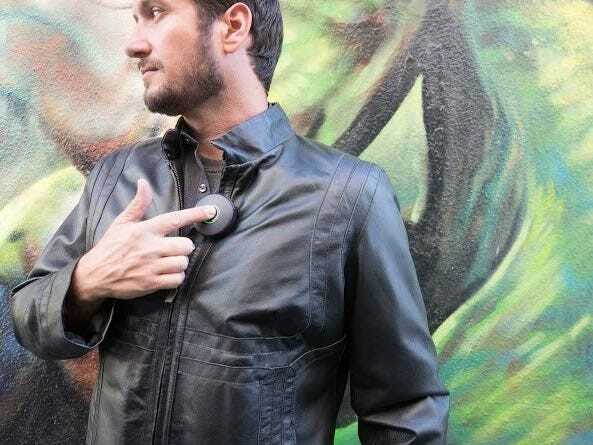 As a wearable device, you can clip the Onyx onto clothing, straps or bags, but it’s also small enough to simply throw in your pocket. Onyx reflects the first product that we’re making, and it’s an element: a very pure, very straightforward, very beautiful element. And the circle shape is intended to reflect all the different ways in which people connect — circle of friends, etc. — and it’s the easiest thing for humans to identify. The thing we recognise first is the eyes, and we wanted to go with the shape and the design element that reflected that, that allows you to stay connected. We’ve had a number of iterations on the core shapes we’ve explored. We’ve explored seven different elemental designs, and everyone came back with was this was the friendliest, most universally appealing shape and form factor. Too much smaller and it’s hard to press, like if it’s on a table, or it kind of gets lost. Much wider and it’s too big. Robbins says he could’ve made the Onyx smaller but that would have sacrificed the audio quality and intelligibility of the device. Audio quality is paramount, Robbins says, especially when you’re in a noisy environment or outside. He wanted the sound to be strong enough to “just work,” so Onyx wouldn’t take you out of the moment. “They got it immediately,” Robbins said. OnBeep will be selling the Onyx directly to consumers, through its website. The official roll out will happen later this year, but the company is opening up for preorders starting today. For a limited time, Onyx will be available for $US99, but you can also buy two (one for you, one for a friend) for $US195.